Best Ionic Room Air Purifiers: Super-Clean & Freshen The Air with Silent HEPA & UV Ionizer Air Cleaners with Ozone Free Negative Ions! Prevent Colds, Flu, Allergies and Enjoy Super-Clean, Fresh Air in Your Home & Rooms with Quality Ionic Air Purifiers. We Sell The Best UV Ionizer Air Cleaners, with Silent HEPA or Ionizing Filter-Less Units, and Safe, Ozone-Free Negative Ions, At Cheap Discount Prices with Free Shipping. Ionic air purifiers offer several key health protective benefits over air cleaners with HEPA or carbon air filters. Ionizing air cleaners use UV light to release trillions of healthy negative ions like hydroxyl (OH-) or superoxide (O2-, not ozone), much like the ions found in nature. This is why the air smells fresh just after it rains or near a waterfall—there are lots of ions floating around. These natural negative ions are best known for super-cleaning and freshening the air, but also kill airborne bacteria and viruses, reduce natural ozone and other pollutants silently brought inside by our air conditioners, increase mental focus, decrease fatigue and even help create a more positive mood! And there are many different sizes of ionic air purifiers available, from small portable desktop units to larger room air purifier units that can handle virtually any size home, room, or office. During cold and flu seasons, ionizer air cleaners offer some of the best health protection. They are more valuable than other air cleaners because the negative ions silently destroy airborne germs like rhinoviruses (responsible for the common cold), flu viruses, and more, in addition to the filtration abilities of the HEPA and carbon filters. Ionizing HEPA air filters are best for removing airborne dust and other particles simply because the negative ions ‘ionize’ or electrically charge the particles which makes them stick to filter media better, removing much more of the tiny, more dangerous sub-micron particles (which includes many bacteria). And for household odors, there’s no better air freshener than a quality UV ionizer air purifier that also has an activated carbon filter. The negative ions silently disintegrate odor-causing organic compounds in the air with no ozone, for super-fast odor control--better than room air cleaners with only a carbon filter. The best ionic air purifiers are actually those that also include a HEPA and carbon filter in addition to releasing negative ions, such as those offered by Aller Air (with UV option), Blueair and lower-cost Winix units. Air cleaners such as those from Aller Air with the UV ionizer option produce hydroxyl and superoxide ions as a bonus to the germicidal ozone-free UV light, which increases efficiency of the HEPA and carbon filters. Blueair air cleaners feature a powerful HEPA-silent technology with particle-ionizing negative ions and a special filter that work together to remove dust and allergens from the air in your room better than HEPA alone, and do it much more quietly than most HEPA filters. 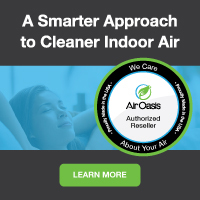 The RxAir Air Purification System is one of the few ozone-free ionic air cleaners that features a filter-less ionizer that is super-effective for clearing the air of particles, killing germs, destroying odors, freshening the air, and covers 800 square feet--all without HEPA or carbon filters to replace. Whatever ionic air cleaner you choose to buy, Air Purifiers and Cleaners.com offers the best, ozone-free UV ionizer air purifiers that have been laboratory and customer tested for maximum air purification and germ-killing ability, silent operation, and high-performance, with quality HEPA, carbon filters, and ionizers that produce only healthy negative ions--to create the best quality, freshest air possible in your home or room. At our online store, we take advantage of our low overhead and pass those savings on to you with super-cheap discount prices and free shipping to help you enjoy the best quality air in your home—without breaking the bank. Our air filtration experts are always available to answer your questions, too—just give us a call today toll-free at 1-800-701-2513 and let them help you choose the perfect ionic air purifier for your home, room or office. We’re here to help!